First of all, I would like to mention, that this game has great graphics and I really love it. Even this game is not new on the market, it has a lot of updates so developers care about improving the game. In this game, you control your character – customize it, get new skills and equipment. I really like the part of a character’s customization. There is a lot of space for your creativity. You can choose a character of one of four nations: Midlanders, Azebs, Ismirs (these are my favorite, can you guess why?) and Sangarians. Each of them has a different background, a different power and abilities, skills, and beliefs that affect the gameplay. During the combat not only the skills that your character has mater. Fight strategy plays a big role in this game if you want to conquer and win. So you’ll have to be smart and use your brain if you want to win against higher level players. There are ten different crafts and these crafts lets you to create your own unique items – blades, swords, armor and etc. This is the part I like the most about this game. Thousands of possibilities to create a completely unique item. My advice – specialize in one craft and profession. You will be more powerful and stronger than developing all of the crafts. Become a master of your specialization. Another great thing – you can build a house, implement it, even create a fortified village with your clan. But you will have to protect your house and a village from enemies, so don’t forget to create good forts. Also, you can attack and besiege the castles or villages of your enemies. Just make sure you are strong enough. Cons of this game: the game during the combat sometimes start to lag and this is so annoying. If the developers would fix this issue, the game would be one of the greatest medieval MMORPG of all time. NExt thing I didn’t like – you cannot ride a horse. Come on – it’s medieval and you cannot ride a horse? It has to be fixed. 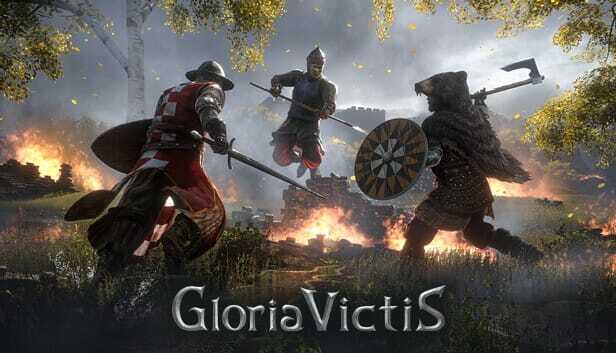 So overall my opinion on Gloria Victis created by Black Eye Games is pretty good. I enjoyed playing this game and going to keep doing that. It’s an addictive game for all medieval times lovers. The game has good gameplay, interesting quests and lots of possibilities to customize and develop your character’s skills and abilities.